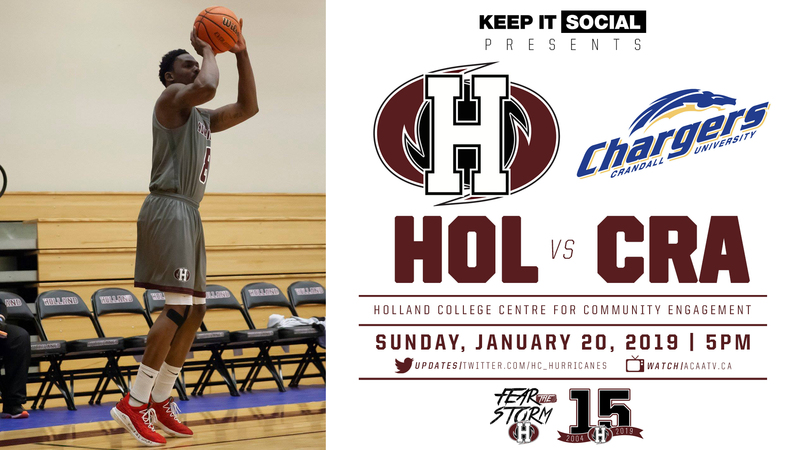 It will be two busy days of home games for the men’s and women’s basketball Hurricanes this weekend as they welcome the St. Thomas Tommies and Crandall Chargers to the Holland College Centre for Community Engagement. 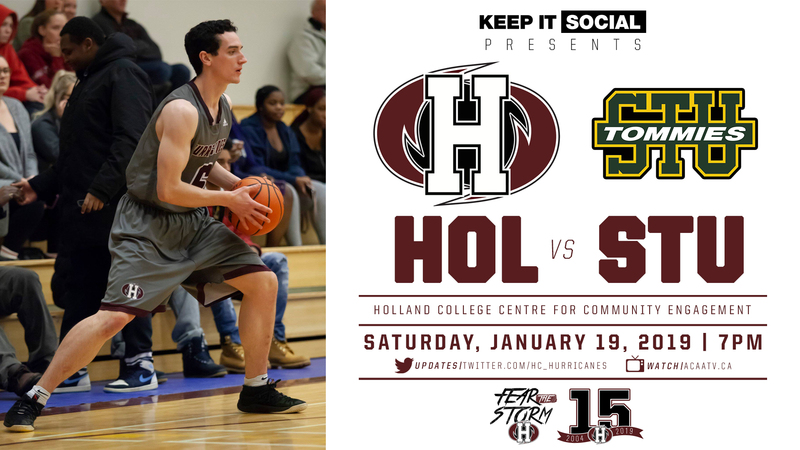 On Saturday versus the Tommies, the action will tip-off with the women’s game at 5pm followed by the men’s game at 7pm. 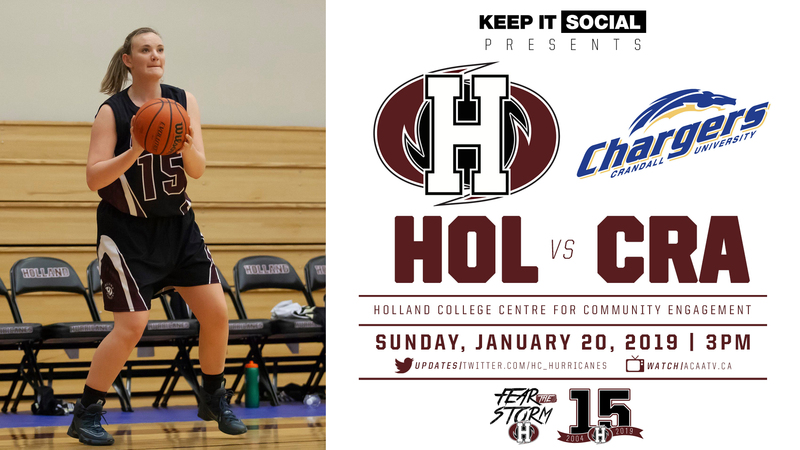 On Sunday versus the Chargers, the women play at 3pm with the men following at 5pm. The men’s Hurricanes enter the weekend with an undefeated record this regular season; they lead the ACAA standings at 10-0. The Crandall Chargers currently sit at 7-3 and in third place while the Tommies are 3-8 and in seventh. ‘Canes guard, Marc Hofer, anticipates two good games this weekend. On October 27, the Hurricanes defeated the Tommies 121-95 in Charlottetown while earning a 96-80 victory on November 11 in Fredericton, NB. They also picked up a 121-107 win over the Crandall Chargers on November 10 in Moncton, NB. Jace Colley, in his second year with the Hurricanes, gives credit to the Crandall Chargers and the strong team that they have this season. The ‘Canes enter the weekend as the second ranked team in this weeks CCAA national men’s basketball rankings. 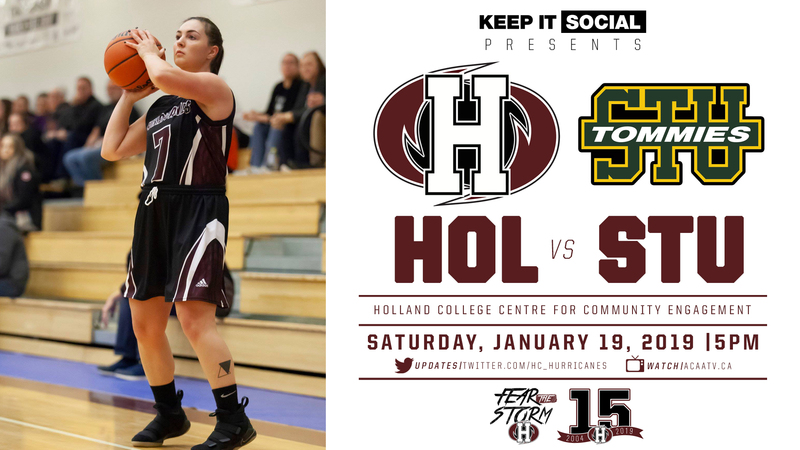 The women’s Hurricanes look to turn around a four-game losing streak when they take on the 8-3 STU Tommies on Saturday; STU enters the weekend in second in the ACAA. The Tommies defeated the ‘Canes in their home opener by a score of 64-40, and again on November 11 in Fredericton, NB 84-53. First-year guard, Ashley Plaggenhoef knows the team has been working hard in practice. Sunday’s opponent, the Crandall Chargers, sit in a tie with the Hurricanes at 3-7 in sixth place in the ACAA standings. The top six teams qualify for the ACAA conference championships this March. Sydney Goode, a third-year guard, knows every game will be important for the remainder of the regular season. The Hurricanes defeated the Chargers in their only matchup this season, a 70-68 win on November 10 in Moncton, NB. All four games are available to watch live at www.acaatv.ca for those that cannot attend the games in person.